Of course it is the time of the semester when the second lot of assessments are released and due in a few weeks. It is the same time my Dad and grandparents are coming down and I intend to spend Saturday afternoon/night, Sunday and Monday with them and not working. Which I am really looking forward to. Except for the load of assessments uni heaped on me this week. Granted, these aren’t due for another few weeks, and doing them next weekend certainly won’t hurt my grades, but I’m a little neurotic about things like this, and I pretty much do all of my assignments as soon as possible. I get the task, then I spend one day each weekend on one assignment. I may have to spend one day researching, one writing, but usually, two assignments can be drafted in a weekend. I like writing, so it comes easy. I will wake up, have a great breakfast, start by 7:30. I will have a proper lunch, and finish work at 5. I will then exercise and spend my night doing something – movies, dinner with friends, etc and usually in bed early-ish to do lots of work the next day. Yes, it is not the typical life of a uni student. But I get everything done and then in a few weeks time, when everyone is stressing, I feel great about taking half a day off to do some baking, or going out at night and sleeping in, because I don’t have tons of work. So the reason why today was so busy was because I got an assignment yesterday that is due next week. We have to rhetorically analyse Obama's speech to the Australian Parliament in 1,500 words. 40% of our grade. So I did that all day, taking a break to eat a small lunch and exercise (I exercised right before I left for the city, and it was a quick 30 minute run, which I cut short because I was paranoid I wouldn’t make it to the city in time). Then I went into the city for an art exhibition by young refugees which I wanted to write about for my journalism class. After that was over, I came home and ate some cereal while writing up references for my assignment. Now I am going to finish this blog post, and go to bed early so tomorrow I can write the story before meeting my family. Talk about full on! 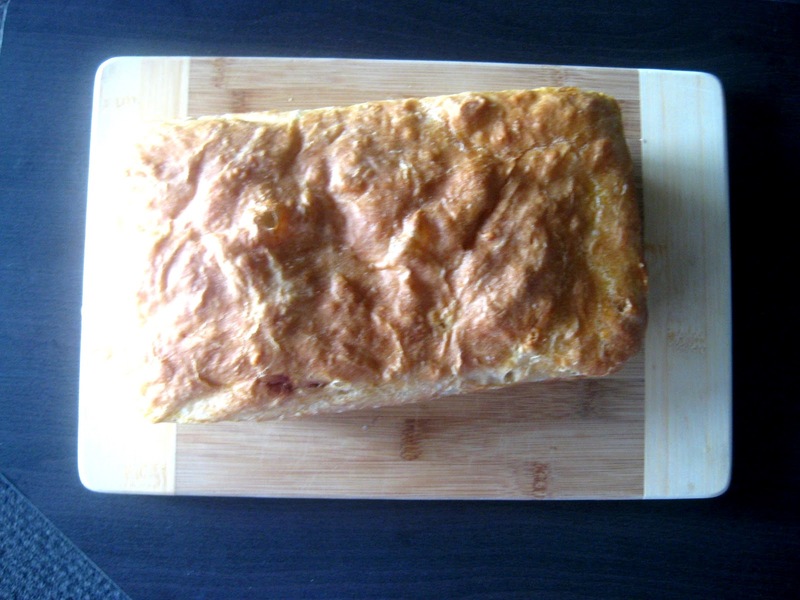 So I chose to talk about this bread because it is very easy to make. There is four ingredients, no kneading, and is the perfect yeast bread for beginners! I have made it a few times now, and the second changed I adapted the method slightly, and found it worked even better. Sure, it does take a while as the bread has to rise twice. 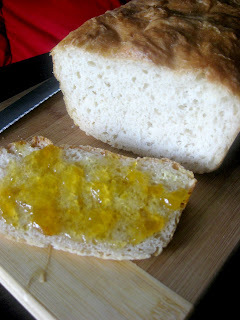 But the result is bread that tastes exactly, if not better, than store bought English muffins. You have to toast this bread. It’s ok not toasted, but like proper English muffins, they are only amazing when toasted. The crust is crunchy, while the middle of the bread is soft, thick and warm. Whatever you chose to put on, I can guarantee you will be satisfied. If you want an interesting breakfast, with bread free from preservatives, sugar and sodium, try this. It is easy, relatively painless and absolutely beautiful. You can freeze the bread (remember to place in plastic – I use a freezer bag and tie like store bought bread), but once unfrozen I would eat within three days and probably not refreeze. As it is proper bread, it will go mouldy quicker. 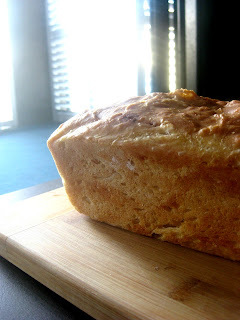 I usually freeze for a day or two, leave to defrost overnight in the sink, and wake up to perfect bread. Then I slice it up, and place the leftovers in a freezer bag in the fridge until eaten. Level of Difficulty: Easy – perfect for the first time bread maker – no kneading! Menu Options: This tastes just like, if not better than, the store bought muffins. 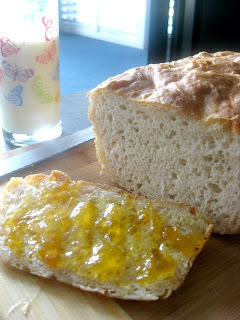 So PB and banana, honey, maple syrup, bacon and eggs, whatever you usually pair a muffin with, pair with this bread. As we all know my obsession is with honey, I absolutely drench mine in honey. In a large bowl mix the ingredients together (not the cornmeal). You can use a stand or handheld mixer with dough attachments, or use a wooden spoon. This dough is very sticky so it will be difficult to clean off the attachments! Make sure the dough is somewhat wet – if it appears too dry add more water as necessary – but be careful not to add too much. You want a very sticky mixture. Leave bowl in warm spot and allow the mixture to rise until it has doubled in bulk. This takes over an hour. For me, it took around 1 hour and 15 minutes. I let mine rise a little more than double, until mine reached the top of the bowl it was in, just to be on the safe side. Grease the loaf pan (just a regular 9 x 5 inches is fine) with a little oil. Cover the sides and bottom of the loaf pan with cornmeal – this gives the outside that lovely golden crunch of English muffins. Spoon the mixture into loaf pan. This will be difficult as the dough will be very sticky and not want to leave the bowl. Then, leave to rise again in the pans. This will take less time – mine took somewhere between 45 minutes to an hour. It will be ready when you can look at the top of the loaf pan and the dough has risen above it by a little bit (perhaps even when the dough is in line with the top of the pan, but the middle of the loaf has risen above the top of the pan). While the yeast is rising, preheat an oven to 175 degrees Celsius. Bake for 25 – 35 minutes. Keep an eye on yours – mine takes around 25 minutes. You want the loaf to be on the verge of golden brown when you take it out, as it does need another 10 minutes in the oven. 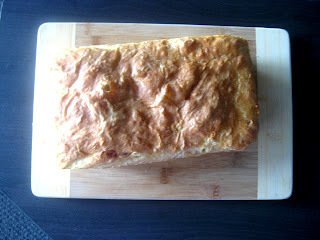 Take the loaf from the oven and liberally coat the top of the loaf with melted butter. Place in the oven for another ten minutes. This will give the bread a nice crisp top. As the texture of the bread is like an English muffin, it is rather soft inside. Let cool completely before slicing. 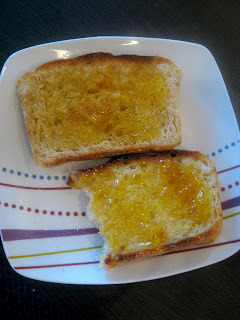 It is best if you toast the bread anyway, so it doesn’t matter about leaving it to cool completely. And in final, sad news - my favourite character died on a favourite tv show of mine the other day. I got my roomates hooked on the show as well, so when he died (very suddenly) yesterday, we all kind of sat there crying for a while. It was a brilliant moment for Australian tv. In less sad news - happy Friday everyone! I hope you all have a lovely weekend! Oh my god - yes I totally was - how sad was it? I was devastated.